An ECG can usually be done quickly at the clinic. If your symptoms are happening less frequently, wearing a monitor for a few days in order to give us a more accurate picture of your heart health. Like a regular ECG, an ambulatory ECG takes readings of your hearts electrical signals. A small monitoring device, about the size of a mobile phone, is worn either around your neck or at your waist, and is attached to several small wires that are attached to your chest with a sticky gel. You must keep the monitor dry and avoid bathing, swimming, or showering whilst you are wearing it. 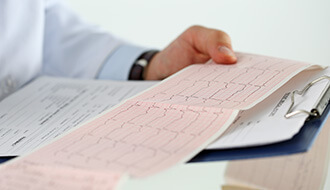 At the end of the monitoring period, the cardiologist will collect your results and evaluate them. 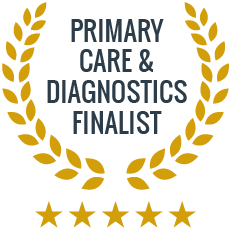 This test is usually recommended when you are experiencing symptoms such as shortness of breath, fainting (syncope or pre-syncope), blackouts, dizziness, or chest pain (angina). The ambulatory ECG may also be recommended if you are already taking heart medication and the doctor wants to know how well it is working and whether or not it needs to be changed. You can engage in your daily activities as normal whilst wearing the ECG monitor, and we may ask you to make notes of your activities, to understand how your heart is responding to different situations and stresses. This test is risk-free and will help us to better understand your heart health. If you would like to discuss any aspect of your heart health, are experiencing symptoms of possible heart condition, or have any other concerns at all, please call us to make an appointment with one of our heart specialists. Is an ambulatory ECG uncomfortable? No, it is a non-invasive form of testing. You will need to take some care during testing not to get the device wet. You may also need to make some notes of your activities. What is the difference between a regular ECG and an ambulatory ECG? The regular ECG test takes just a few minutes and is carried out in the clinic, whereas the ambulatory ECG takes continuous readings for a longer period, whilst you go about your regular activities. Why do I need to have an ambulatory ECG? Sometimes heart symptoms are not consistent, and will vary widely during the course of a day or week. Ambulatory monitoring gives your doctor a longer-term picture of your heart, allowing a better understanding of the range and frequency of your symptoms.